A vacation in Bermuda needn’t break the bank. There are plenty of free sightseeing attractions and things to do. Pick up a copy of ‘Bermuda – East To West’ from any Visitor Information Centre. The guide includes a self-guided tour of Hamilton with map and list of attractions. Visit Barr’s Bay Park, Albouy’s Point, Par-la-Ville Park and the Perot Post Office, the Bermuda Historical Society Museum, the Bermuda National Gallery, Bermuda Cathedral, Sessions House, Front Street, and Fort Hamilton. Free guided tours with the City of Hamilton’s town crier are also offered. Ask at the Visitor Information for details and times. The beaches at Church Bay and Tobacco Bay are widely regarded as the best for snorkelling. Both offer equipment rentals. Alternatively, save a few dollars and bring your own snorkel gear. The beach at West Whale Bay isn’t the biggest, but the views from the park are spectacular. Take a picnic and enjoy. No visit to Bermuda would be complete without visiting the Horseshoe Bay. The beach here is the island’s busiest and boasts the best facilities. In the summer months there are numerous activities laid on for tourists; volleyball, sandcastle competitions etc. Ask staff at a Visitor Information Centre for timings. Every Wednesday evening in the summer months, Front Street in Hamilton is closed to traffic and becomes the venue for the Harbour Nights. There’s free music and entertainment, plus food and craft stalls, and late night shopping. 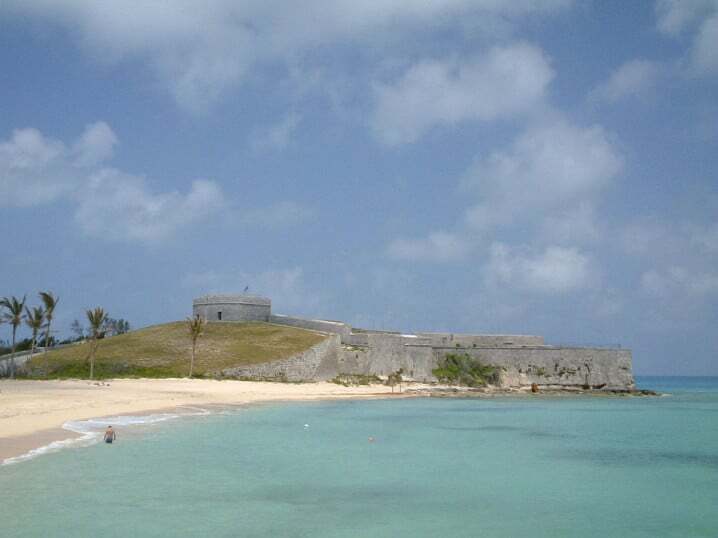 St George is an unspoilt town in Bermuda’s East End and offers a wealth of historic sites and buildings. In 2000 it was designated a World Heritage Site by UNESCO. ‘Bermuda – East to West’, a guide produced by the Department of Tourism and available at Visitor Information Centres, includes a self-guided tour of St George with map and list of attractions. On many days in the summer, the town crier of St George’s conducts a re-enactment of 18th century justice in King’s Square. Ask at a Visitor Information Centre for timings. Free guided tours of St George are also available. Ask at the Visitor Information Centre for details. Visit Spittal Pond in Smith’s Parish, Bermuda’s largest nature reserve and home to Spanish Rock, the earliest sign of human activity in Bermuda. 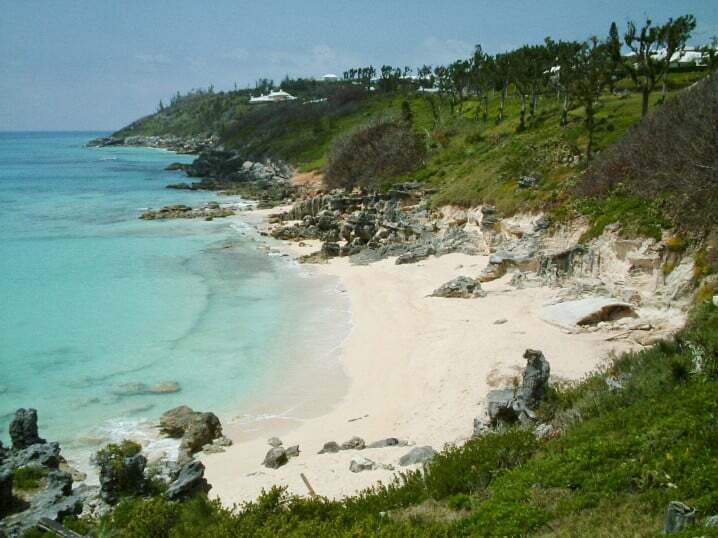 A trip here could be combined with a few hours at John Smith’s Bay, one of the lesser-know beaches in Bermuda. Royal Naval Dockyard was once the home of the British Navy. It is now a major area with a wealth of historic buildings, attractions, restaurants, and shops. It is also Bermuda’s busiest cruise ship port. Both Kings Wharf and Heritage Wharf are here. Jobson Cove is the arguably the most beautiful beach in Bermuda. The water here is calm and great for children. Rather strangely, it’s rarely busy. In 1609 the shipwrecked crew of the Sea Venture came ashore near St Catherine’s Beach in St George’s Parish. The beach is truly beautiful and rarely visited by tourists. Entrance to nearby Fort St Catherine costs just a few dollars.